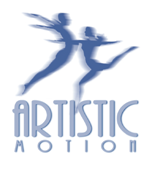 Welcome to Artistic Motion School of Arts & Preparatory Academy! Please provide your information below and click Submit when complete. Please remember to enter Credit Card information only. Bank Drafts are not accepted at this time. Credit cards are NOT charged at this time. All enrollments are considered pending until we have reviewed your registration and posted any fees due. Applicable discounts will be applied as well. I hereby release Artistic Motion, its members, agents and volunteers of all liability. I agree that I am absolving and releasing others from liability from their own negligent acts, even if I am not at fault in any way. In consideration of my/my child's participation in classes or other activities at or associated with Artistic Motion, I agree to assume full responsibility for them, their heirs, executors, and administrators, waive and release and forever discharge any and all rights and claims for damages which they may have or which occur to them, for all damages which may be sustained and suffered by them in connection with their association with or entry into center activities or which may arise out of their participation in these activities. I expressly assume all of the risks inherent in these activities. I agree that enrollment, participation, and/or attendance at any Artistic Motion School of Arts and its affiliates, Artistic Motion Preparatory Academy & Artistic Motion Company (all hereafter referred to as AMSA) sponsored regularly scheduled class, Master Class, event, performance, camp, program, and/or rehearsal, including private instruction, authorizes AMSA to have the unrestricted right and license to take photos and videos of me and my dependent, and use image, likeness, name, voice, or comment for use in brochures, flyers, documents, displays, press releases, other AMSA publications and media material, on the AMSA website(s), and on AMSA social networking sites. AMSA will not use the aforementioned upon written request. If I submit a written request, I understand and agree that only regularly scheduled classes, Master Classes, and private instruction will be available for participation. I agree that tuition is due the 1st of each month, September - May. Accounts where payments not received by the 15th of each month will incur a $25 late fee and the total balance due for the month will be charged to the card on file. *Students may not participate in class if accounts are not current. *Returned checks will result in a Returned Check Fee of $25.00. *No refunds are given on classes missed due to inclement weather or emergency closings of the school. *Tuition rates will be prorated if students register for classes for a term that is already underway. *No student will be admitted to class after the 15th of the month if his/her account is not current. *Delinquent accounts must be settled before a student may register for a new session/semester or attend production/performance rehearsals. *Costumes will be given to dancers only after all fees are paid. I agree that I, or my dancer will be on time for class. I understand that attendance will be monitored and excessive absences may result in dismissal from performance opportunities and can affect advancement to the next level. *Students may make up a missed class by attending another class of the SAME LEVEL OR A LOWER LEVEL. * Students and or parents must call and pre-arrange a make-up class so the instructor may be prepared. * A make-up class may be scheduled in advance of the excused absence. * Missed classes do not accrue from one semester to the next semester. * Missed classes not made up will be lost classes. * Tuition will not be refunded for unattended classes or classes that are not made up. * Students must check in and let the instructor of the class know they are attending the class as a make-up class. * AMSA cannot add additional classes or extend the calendar school year to make up for classes missed due to inclement weather or emergency/unexpected school closings. Any classes missed due to the previously mentioned circumstances should be made up as a missed class. * AMSA reserve the right to require a student to take a private lesson, at the posted studio fee, for having two consecutive absences in a class. and is physically healthy enough to return to class. Student may then resume his/her regular schedule of classes. I agree that I, or my dancer, will follow the dress code policy as outlined in the AMSA/AMPA Policy Statement for my specific class. I agree that the Performance Fee of $50.00/ first child, $25.00 second/third child will be paid in the Spring semester if my child is participating in the Spring Performance/Spring Production. The Performance Fee is non-refundable. as possible to properly warm up before being allowed to dance. expected to attend and observe class and rehearsals. * The Artistic Director and AMSA/AMPA faculty make all decisions concerning casting, choreography, and costuming. * Casting is done by auditions, class observation, and rehearsal observation. * Students who DO NOT attend all assigned rehearsals will be dropped from the cast except in some cases of absence due to illness, injury, observance of religious holidays, required school functions, auditions, or family emergencies. * A Costume Deposit of $30.00 will be invoiced on October 1. This deposit will be deducted from total costume fees due in April. * AMSA must receive, in writing, notification that your child will not be performing no later than the second Monday in February. After that time, a costume will be ordered for your child and you will be billed for that costume. * Students and parents are responsible for checking and noting their own rehearsal schedules, as well as any updates and changes posted. * Dancers in productions must pay a costume fee which will be designated as a "PURCHASE" or "RENTAL." Both PUCHASED and RENTAL costumes do not include shoes and tights. RENTAL costume fees include maintenance, alterations, repairs, and cleaning expenses. * RENTAL costumes must be returned or a PURCHASE fee will be added to the student's invoice. I agree to the Rules and Regulations for AMSA/AMPA as outlined in the Policy Statement. * Students are expected to be ON TIME for every class. This means the student should be in the classroom before the music begins. * Students are expected to stay in a class until the end and should not leave the class without permission. * Use the restroom, get a drink of water, and secure hair, etc., before entering the classroom. * Students are expected to be respectful and courteous towards all instructors, staff members, and guests of the school, as well as fellow classmates. * Students are expected not to talk while in class. * If a student has a question, he/she should raise his/her hand and ask the instructor. * Students are not allowed to use cell phones in the studio. * Students with cell phones are requested to TURN OFF phones and leave their phones in the dressing room. * Students are not allowed to take photographs with cell phones in the facility (including during class or in the dressing rooms) without permission. * Students are ABSOUTELY NOT ALLOWED to chew gum, eat, or bring soda/juice or any open bottles in to the studio. * Students are expected to keep the noise level to a minimum in the hallway and dressing rooms at all times. * Students are expected to have respect for the property of the school and other students. An individual found guilty of stealing will be immediately dismissed from the school. * AMSA cannot assume responsibility for the loss of students' valuables. * Arrival and departure from classes and rehearsals are expected to be punctual. * With permission, students may use AMSA phone to contact parents in the event of illness, time change, or early closing of the school. * Students and their parents are responsible for reading all posted notices regarding class and rehearsal schedules. * It is highly recommended that parents attend all meeting to keep informed and gather important information regarding the school and performances. * Parents and students should discuss all rules and regulations!